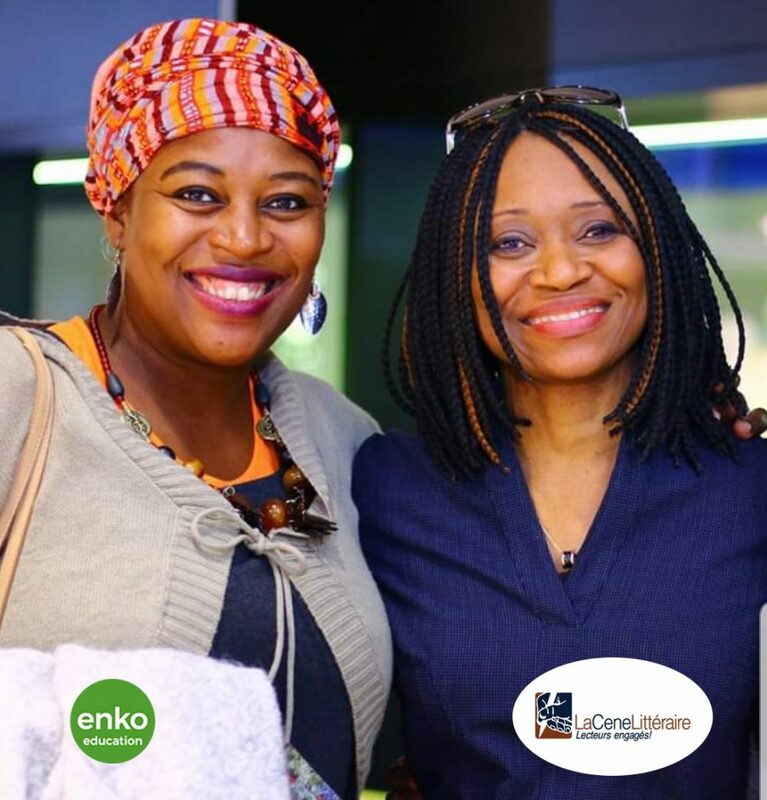 On the picture you can see Flore Agnes Nda Zoa and Estelle Baroung Hughes, Head of Educational Professional Development at Enko Education. The two women are pausing with joy, with the aim of announcing that Enko Education and the literary CENE Littéraire are launching an innovative partnership. 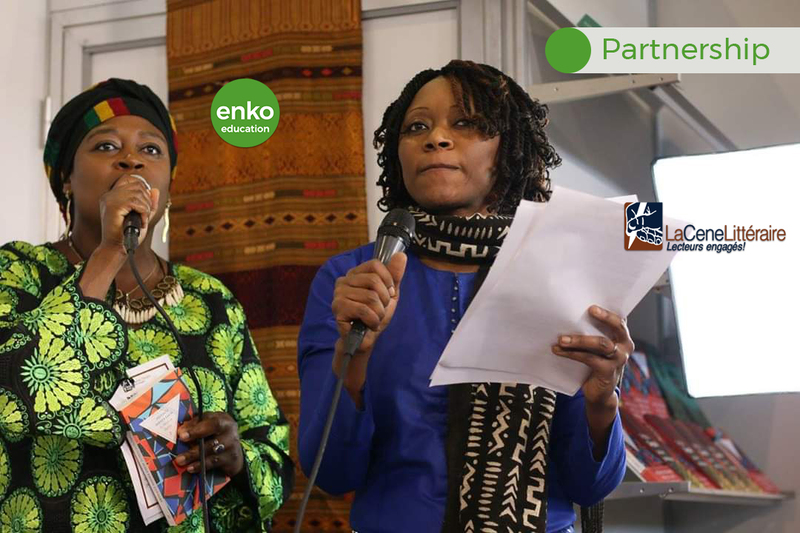 Authors’ visits, reading clubs and literary chronicles by students will be set up in Cameroon, Burkina Faso, Mali, Mozambique, South Africa and Côte d’Ivoire through Enko Education. Already, the Sudanese author Abdelaziz Sakin Baraka, winner of the ‘Les Afriques’ prize awarded by the CENE Littéraire, visited Enko La Gaieté International School in Yaounde, Cameroon. The students got inspired by this visit. This milestone event is the beginning of a great African, literary and educational adventure, in which the two institutions wish to encourage young minds to discover contemporary African and Afro-descendants authors. For the record, La CENE (Cercle des Ecrivains Noirs Engages) association was inaugurated in Yaoundé, Cameroon, in August 2015, in front of a parterre of personalities from the literary world, notably, Professor Hubert Mono Ndzana, the authors Eric Essono Tsimi, Martial Ateba Nomo, Viviane Ondoua Biwole, Claude Assira, Beatrice Mendo, Ateba Mbassi, Hilaire Mbakop, Aurelien Mvesso and many others. Since then, this association has continued to multiply initiatives to support and make the literary creativity of black authors visible. The ‘Les Afriques’ prize is one of the most considerable achievements of the CENE Littéraire. The first winners are Hemley Boum (Cameroon), Abdelaziz Baraka Sakin (Sudan) and Kei Miller (Jamaica). The CENE Littéraire also organizes literary residencies to allow authors to create in peace and serenity. We hope is that between the two chapters, they find time to visit an Enko Education school.